Dacover is signing for a new EP entitled « Trailer » and to be re-leased in May on Boxon Records, elec-tronic record label from Bordeaux.The EP, containing four tracks with sharp synthesizers, reminds us some famous names of the French elec-tronic stage such as Mr Oizo or the gif-ted Etienne de Crecy. 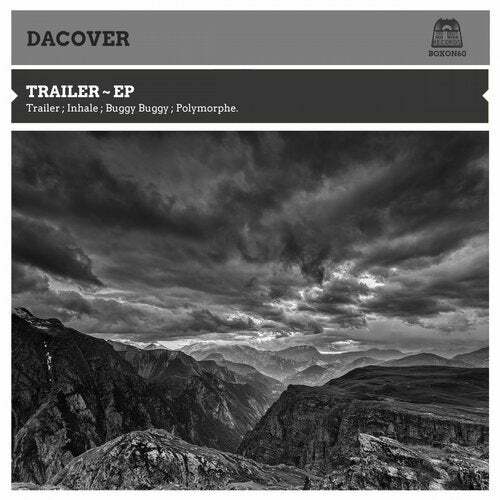 Indeed, we have the powerful « Trailer » with refined sounds, already remixed by the confir-med producer Millimetric, or «Buggy Buggy» which arabesque sounds sug-gest the crude techno you can listen in European clubs. He is completed by the two tracks «Inhale» and «Poly-morphe».It should be noted that we can see Dacover on some greatest venues in Grenoble because he is, also, enthusiast of MAO. Get ready for his new live to be coming soon !